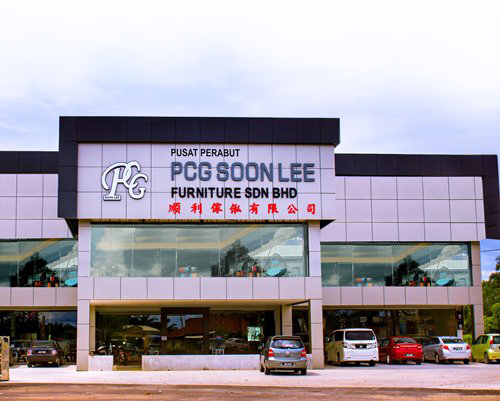 PCG SOON LEE FURNITURE SDN BHD is a leading furniture manufacturer in Malaysia with more than 18 years of experience in the field. Our business covering over various countries including Brunei, Malaysia, Singapore, and Indonesia. Our products are designed based on original Germany’s. Only the best is good enough for our customers. We want to offer you endless possibilities to create your very own inspiring home. Our products are mainly wooden design in order to deliver the concept of nature. We believe that quality always win and that’s why we are always taking extreme cautions over each step while producing our furniture. We are using automation in processing our products to monitor and make sure that every step is under control. Our company is well known for good quality control. Since 2005, we had been using the highest quality of materials in order to create the sustainable products. You are welcome to leave your message here, and we promise to reply within 24 hours. Lastly ,thanks for visiting our website and we are excited for your visit in the future.